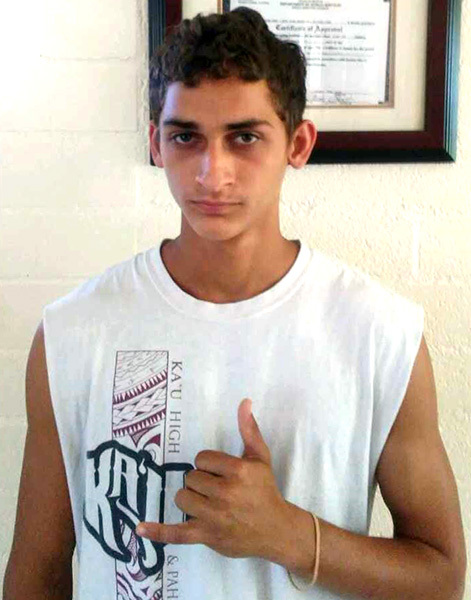 Hawaiʻi Island police are searching for a 17-year-old Kailua-Kona boy who was reported missing. Naython Perry was last seen in Captain Cook on (August 7). He is described as Caucasian, 6-feet, 145 pounds with short brown hair, fair complexion, and brown eyes. Last seen wearing dark colored sweatpants. Police ask anyone with information on his whereabouts to call the Police Department’s non-emergency line at (808) 935-3311. Tipsters who prefer to remain anonymous may call the islandwide Crime Stoppers number at (808) 961-8300. All Crime Stoppers information is kept confidential.